In addition to our backyard "kitchen" garden, Jesse, Jane and I have a 2000 square foot community garden plot just north of town at the Ignatius Jesuit Centre. 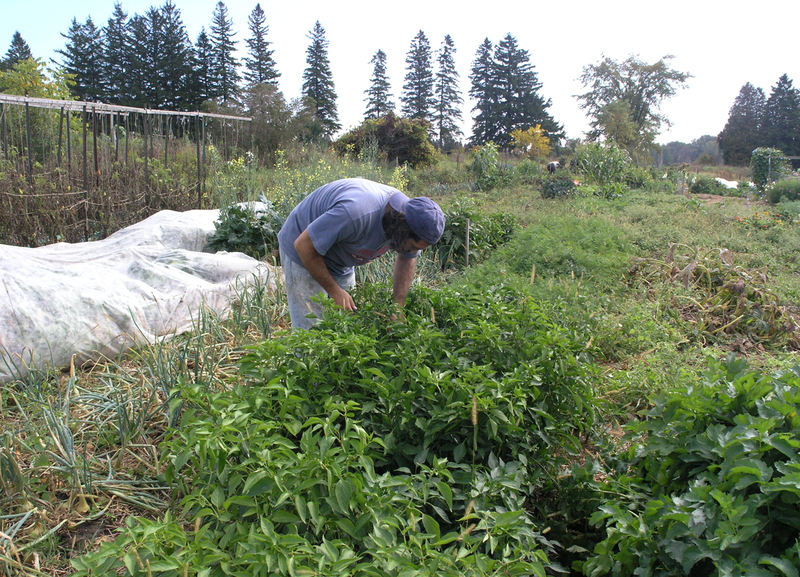 Ignatius is run by some very hip people who also have a huge organic CSA. My "Not There" CD was released to raise funds to keep Wal-Mart from encroaching on this land. In the photo above you see Jesse picking away. 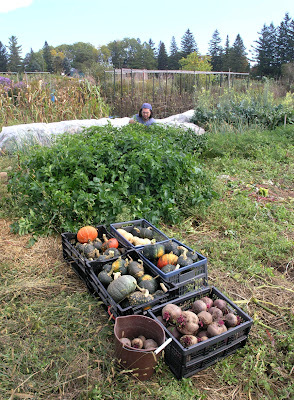 The leaves in the bottom right corner are from the parsnip patch; he's in the chili pepper patch; behind him is the onion patch, and further to the left are the cabbages under row covers. The structure to the upper left supported 64 tomato plants (already harvested), and at the far side are eggplants, broccoli (finished), sweet peppers, carrots and potatoes. Here is our winter squash and beet harvest with the parsnip patch behind them. 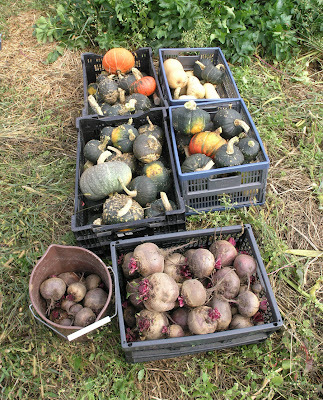 We got 72 squash and a good pile of beets that I'll keep in tubs of moist sand in our garage food storage area. The CD is being manufactured, Jane and I are redoing my website—and we're all eating well! 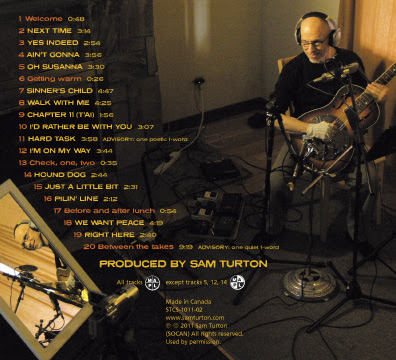 Here's a peek at the back of the CD package, with the song listings. The tracks with lower case letters in orange are outtake sections, the ones with caps are the songs. It's a fascinating ride over 20 tracks! I haven't posted for a while because I've been in the vicegrip hold of final mixing and mastering. Deadlines - gotta hate 'em, gotta have 'em. This CD is more work than many because of all the extra material on it, amounting to 20 tracks—15 songs, 4 segue sections and one 9-minute outtake track. Anyway, gotta run—Nik is here for an adjustment session on the master! Jane worked most of the day on a new video. 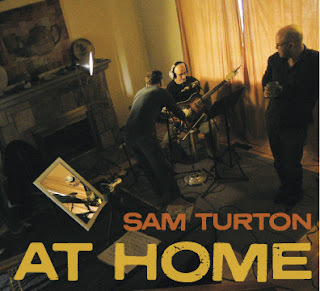 She took still shots from the very first recording day—when she was documenting the destruction and revival of our house—and added music from the sessions. 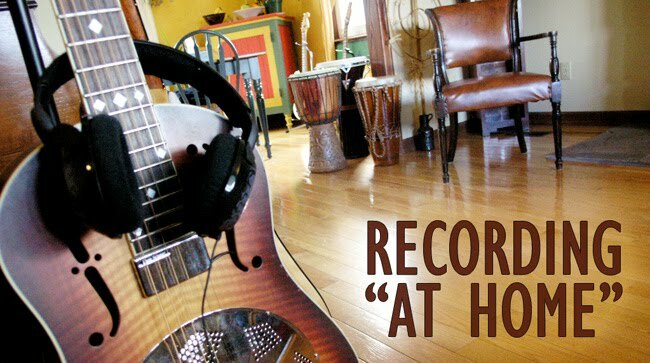 One was an out-take jam from Hound Dog and another was an instrumental from Just A Little Bit. It's a blast watching Adam setting up the kit with his drumming as the soundtrack! When Jane sets her mind to something she always does an amazing job, and the final version is excellent, and may end up on the extra features—who knows!